New Delhi, March 24: As all the Bharatiya Janata Party workers have added Chowkidar to their names following Prime Minister Narendra Modi, One BJP leader opposed doing it. Party MP Subramanian Swamy on Sunday explained that why he has not used "Chowkidar (security guard)" prefix. The senior BJP leader said that he cannot take part in “Main Bhi Chowkidar” campaign on Social Media as he is a Brahmin. 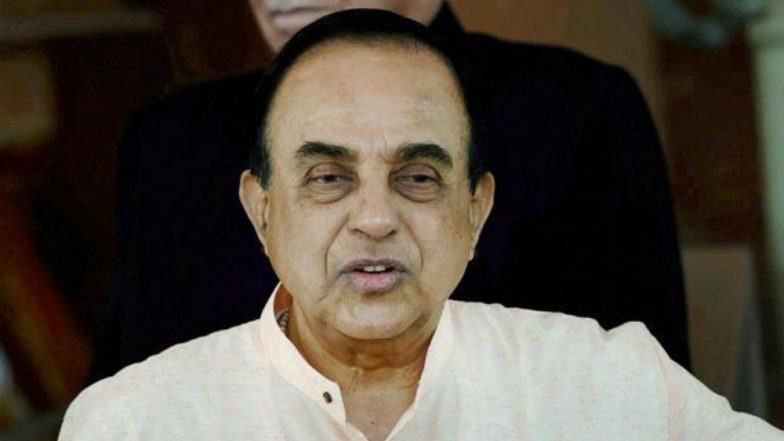 The shocker from Swamy comes days after Prime Minister Narendra Modi started "Main Bhi Chowkidar" campaign and added "chowkidar" to his name. "Your Chowkidar is standing firm & serving the nation. But, I am not alone. Everyone who is fighting corruption, dirt, social evils is a Chowkidar. Everyone working hard for the progress of India is a Chowkidar. Today, every Indian is saying-#MainBhiChowkidar," PM Modi said while starting the campaign. Several Union ministers, including Arun Jaitley, Smriti Irani, Nitin Gadkari, Ravi Shankar Prasad, and Sushma Swaraj, had also followed suit. BJP president Amit Shah also added the prefix. The BJP's campaign is a counter to Congress party's 'Chowkidar Chor Hai' jibe.